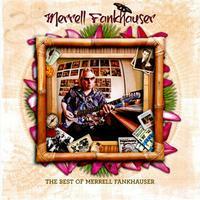 This career spanning retrospective should be of great interest to longtime fans of Merrell Fankhauser. It would also serve as a good introduction to this artist. The thing is, a few tracks seem a bit amateurish. In fact, if you spin it from the start, you might feel the desire to shut this thing off. Stick with it past the first few tunes, though, and things improve. There are some moments of brilliance later in the set. This feels kind of amateurish in terms of the production. It’s a real old time pop rock number with some folk in the mix. It’s old time rock and roll meets folk music. 1960s pop rock sounds and the appropriate production values make up this bouncy number. A slower moving and mellower number, this is set pretty thoroughly in psychedelic territory. It feels a bit like the band H.P. Lovecraft. This is more energized, but the guitars are acoustic. Horns bring a bit of a jazz element to the piece, but perhaps it’s closer to something from Herb Alpert. It’s a good piece. There’s more energy and oomph on this hard rocking tune. It’s very much a 1960s psychedelic rock piece. Here we get a mellow little pop rock tune in a typical 1960s motif. Some of the guitar work makes me think of The Byrds. A harder rocking sound is heard on this smoking hot slab of psychedelia. At times I’m reminded of a mellower Blue Cheer. I also think of Steve Howe’s old band Tomorrow. Combine Crosby Stills and Nash with H. P. Lovecraft and blend in a little prog rock and you’ll have an idea of what this tune sounds like. This rocker really reminds me a lot of The Guess Who. I like the vocals and the cool bits of guitar soloing. Here we get a more typical slab of psychedelic rock. This isn’t bad, but doesn’t really stand out, either. The mellower psychedelic tones on this one have a real dreamy quality to them. There’s some tasty guitar soloing to be heard on this piece, too. The production and overall volume of the music increases here. This is a dreamy kind of psychedelic meets folk rock song. It’s one of the strongest pieces we’ve heard to this point and I love the little climbing section and the overlayers of strings. More folky psychedelic music makes this one up. While at times it’s rather clichéd, it’s also quite tasty. While in some ways this is pretty typical high energy 1960s music, the string section really adds a lot to this. It’s quite a fun and suitably joyful number. The sound moves forward into the 1970s here with this cut that feels a bit like something from T-Rex. There are still some cool psychedelic elements at play and I really like the violin. It’s a strong piece and one that really stands out. 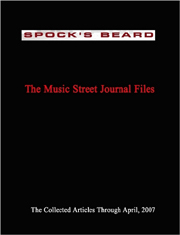 The musical motif here is sort of mid-tempoed and not quite a rocker, but not quite ballad. It similarly seems to sit between the 1960s and 1970s. It has a cool tone and progression and has some intriguing instrumental work. This is a major improvement from the first CD. It’s still got plenty of that psychedelic sound, but really this is very much a progressive rock and space rock sound. It’s melodic but still rocks out. We get horns in this tune and the bouncy approach to it has an almost ska vibe. While it’s fun, it’s a step down from the previous one. Still rather spacey and suitably dreamy, this rocker is a lot more modern in sound than anything we’ve heard to this point. It really qualifies as progressive rock, but still has some of the accessible 1960s sound in place. This mellow, dreamy number seems to combine a progressive rock element with more of that 60s psychedelic pop music. Is a bouncy, bluesy rock tune with a lot of that 1960s sound in place. It’s not exceptional, but there’s a cool noisy guitar line playing throughout that really adds a lot to the effectiveness of the piece. This bouncy rock and roller isn’t that different from a lot of the music Bachman Turner Overdrive did. Mind you, this doesn’t sound like that band, but perhaps a bit like T-Rex, but the BTO comparison does apply a bit to the song construction and overall musical genre. Mellow progressive rock meets space music and even some electronica on this great piece of music. This is a highlight of the set. A playful little number, this is OK, but not all that special. It almost feels like Devo in some ways. There is a cool saxophone solo on this. There’s certainly plenty of 1960s pop sound in this number. It’s good, but a little generic. This bouncy tune is a bit silly in some ways. It’s alright and the horn solo adds something, but I’m just not a big fan of this number. A bluesy rocker, this isn’t great, but it’s far from bad. It’s just a little on the generic side. I like the harmonica on this. Overall it’s sort of a folk rock tune not that far removed from the 1960s leaning territory found on much of the set. That said, there are some bits of country and bluegrass built into this tune. This is a goofy little acoustic guitar based tune. It’s OK, but it really doesn’t work for me. I’ve always loved surf music and this killer jam seems to bring some new concepts to the table. This mellow balladic tune is OK, but not very strong. It’s quite generic other than the lyrics. A bouncy little number, this is really just sort of average.